Pakistani Government released CIA Agent Raymond Davis on Wednesday and sent back to him to his Country United States. He was arrested in January earlier this year for killing two Pakistani Citizens in Lahore and later on in Investigation it was found that he was a CIA Agent and was spying in Pakistan. 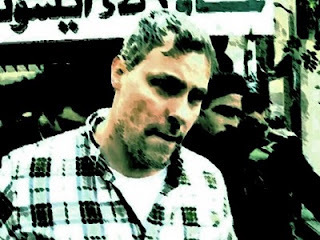 Pakistani Government has said that Raymond Davis is released as families of both of the Citizens killed by Davis got ready to take the Blood Money (Diyat). Pakistanis are not ready to accept this Explanation of Government and strongly Condemning release of Davis. In last two days massive protests where organized in different cities of Pakistan over illegal release of Raymond by Pakistani Government. People are raising many Questions about Raymond release that how a person which was committing terrorism against the state can be left by giving Blood money? how he was sent back soquickly in few hours? where are families of both the men killed by Raymond? Blood money is paid by the Killer but why Pakistani Government payed the blood money?